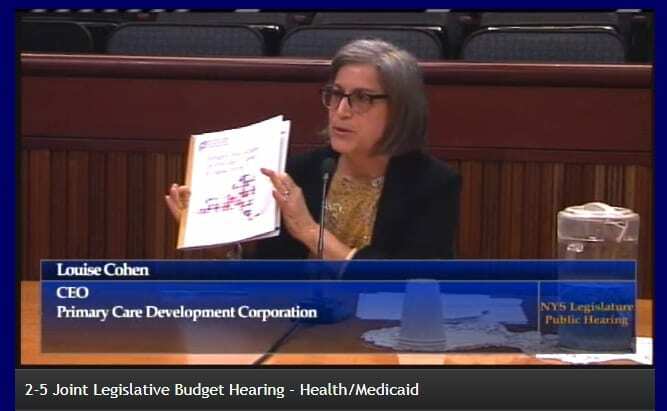 On February 5, 2019, PCDC CEO Louise Cohen [pictured] gave testimony before the New York state legislature’s joint legislative budget hearing on health/Medicaid. She highlighted the importance of primary care, its impact on health outcomes for New York State residents, and PCDC’s work across the state. Read the full testimony from the public hearing below. Thank you for the opportunity to testify before the committee today. 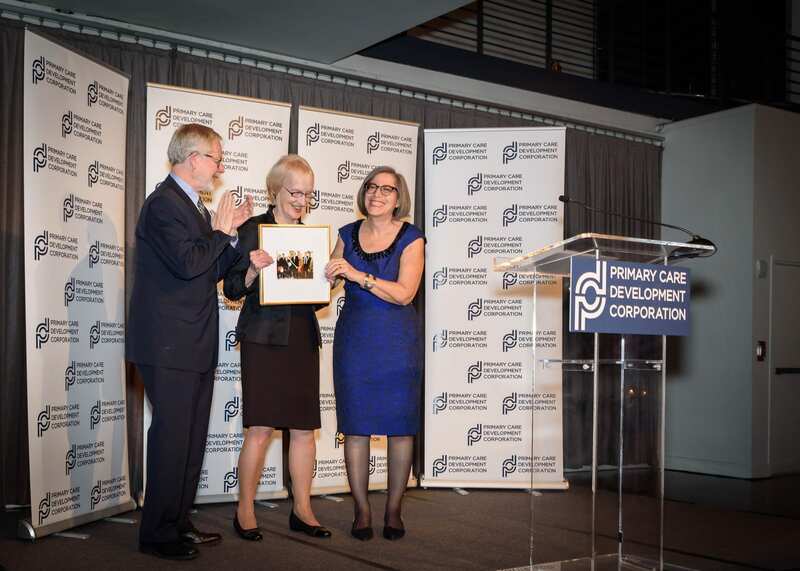 The Primary Care Development Corporation (PCDC) is a New York-based non-profit organization and a U.S. Treasury-certified community development financial institution dedicated to building excellence and equity in primary care. Our mission is to create healthier and more equitable communities by building, expanding, and strengthening primary care through capital investment, practice transformation, as well as policy and advocacy. Over the last 25 years, PCDC has worked with over 600 health care sites across the Empire State, including seven DSRIP (Delivery System Reform Incentive Payment) Performing Provider Systems (PPS) in all corners of the state. Thanks in part to the New York State Legislature, we have financed and enhanced health care facilities and practices in more than 92% of New York’s Senate Districts (58 of 63) and 77% of Assembly Districts (116 of 150) to increase and improve the delivery of primary care and other vital health services for millions of New Yorkers. In just the last five years, PCDC provided nearly $75 million in affordable and flexible financing to expand access to primary care across New York State. Since our founding in 1993, PCDC has improved primary care access for more than 1 million patients by leveraging more than $1 billion to finance over 130 primary care projects. Our strategic community investments have built the capacity to provide 3.5 million medical visits annually, created or preserved more than 10,000 jobs in low-income communities, and transformed 1.8 million square feet of space into fully functioning primary care practices. Through our capacity building programs, PCDC has trained and coached more than 7,000 health workers to deliver superior patient-centered care. We have also assisted more than 475 primary care practices — encompassing some 2,250 providers — to achieve Patient-Centered Medical Home (PCMH) recognition, improving care for more than 5 million patients nationwide. In partnership with the Montefiore School Health Program and New York School-Based Health Alliance, PCDC helped developed the first and only nationwide recognition program approved by the National Committee for Quality Assurance (NCQA) for school-based health centers. PCDC has been working closely with the Department of Health (DOH), the Office of Mental Health, and the Office of Alcoholism and Substance Abuse Services to identify appropriate and needed projects to be supported by the New York State Community Health Care Revolving Capital Fund, made possible by the legislature in previous years. Administered by PCDC in partnership with DOH and DASNY, the revolving fund provides affordable and flexible loans to Article 28 health centers, Article 31 mental health centers, and Article 32 substance use disorder treatment centers to finance the construction, expansion, and renovation of community health care facilities throughout New York State. For more information on eligible projects, please visit pcdc.org/newyork. Since our agreement with DASNY was executed in January 2017, we have fielded inquiries totaling almost $130 million and developed a pipeline of $13 million for the $19.5 million revolving fund. As you can see, there is substantial interest which far exceeds the available funding. To date, we have closed $3 million and are actively underwriting an additional $7.3 million. Callen-Lorde Brooklyn (Article 28, Kings County): Callen-Lorde Community Health Center’s new 25,000-square-foot facility located in the heart of Downtown Brooklyn is the first project to receive funding from the New York State Community Health Care Revolving Capital Fund. Callen-Lorde Brooklyn is projected to enable the organization to serve an additional 15,000 patients and create 100 full-time jobs. 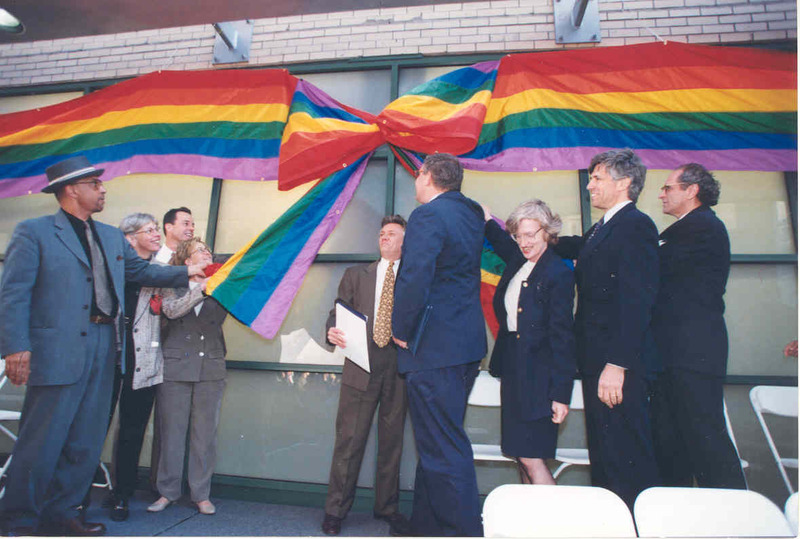 The revolving fund supported the development of the organization’s fourth clinical site in New York City to provide critically needed health care services for LGBTQ communities, people living with HIV/AIDS, and the uninsured, regardless of ability to pay. St. Joseph’s Community Service Center (Article 32, Franklin County): St. Joseph’s Rehabilitation Center will bring much-needed substance use disorder services to rural North Country, following accelerated bridge financing from the revolving fund to allow St. Joseph’s to open and begin providing services more than 12 months sooner than would be possible with the traditional funding process. The revolving fund enabled St. Joseph’s to acquire property and begin predevelopment to co-locate three important programs — a 10-bed detoxification unit, a 24/7 Open Access Center, and an expanded outpatient clinic — in one 8,000-square-foot renovated warehouse in the Village of Saranac Lake. PCDC thanks the legislature for your continued support of the New York State Community Health Care Revolving Capital Fund, and we look forward to sharing more projects to improve access to care for all New Yorkers with you in the near future. With FY18 funding made possible by the legislature, PCDC released our “What’s the State of Primary Care in New York” report last June, which analyzed proprietary and publicly available data to assess primary care access county-by-county. We identified significant correlations — between primary care access and overall health status; higher poverty rates and worse health outcomes; and rural counties and a lack of primary care access — based on defined measures of access and need. Our recommendations included ensuring a sufficient number of primary care providers in every county, working toward primary care access parity for people living in rural communities, and encouraging capital access and reimbursement models that reward proven quality programs. Underserved communities have the most pressing need for primary care services but are served by dwindling numbers of providers and institutions that lack resources to expand and improve services. Without primary care, families risk costly and serious complications from illnesses that can threaten their long-term well-being and financial security as well as worsen other social and economic inequities. Primary care makes the difference between a life-threatening chronic condition and a preventable, manageable, and treatable condition. Primary care is the first point of comprehensive care, addressing all that contributes to a person’s health and well-being, from childhood through old age. It is the critical, cost-effective care and services that help prevent, identify, and treat common conditions such as asthma, diabetes, and heart disease before they become more serious, costly, and difficult to treat. It is screening, diagnosis, and treatment; referral to and coordination with other care settings and providers; health education, preventive services, and more. It includes family and adult medicine as well as community behavioral health, women’s health care, and geriatrics. Primary care is the foundation for integrating the full spectrum of health and social services to improve health outcomes and the key to sustainable, accessible, and equitable health systems. 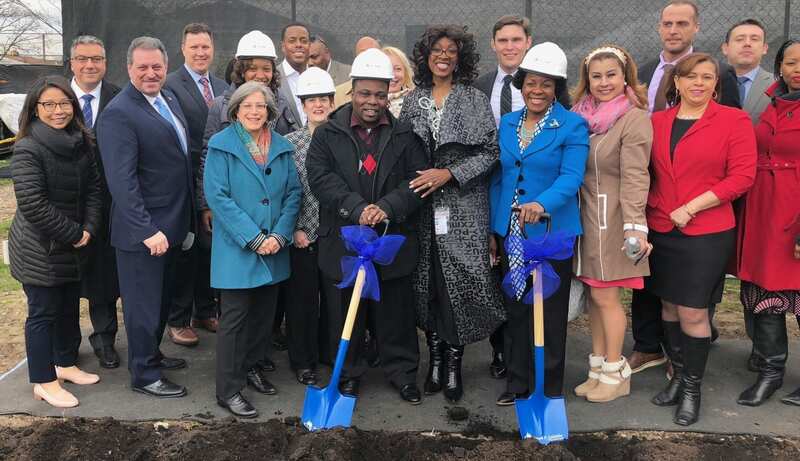 It is a cornerstone of healthy, thriving communities and helps keep families healthy, children ready to learn, and adults able to pursue their careers. 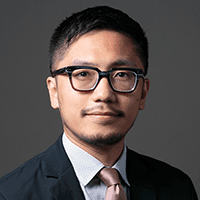 Investment in high-quality, culturally competent primary care for all New Yorkers is essential, particularly amidst larger uncertainties about looming federal actions that undermine health care access, services, and funding. Other states are advancing policies, creating notable models, and paving the way forward to strengthen, prioritize, and invest in primary care through measuring and increasing primary care investments. Starting in 2010, Rhode Island required that commercial plans increase spending on primary care by 1% per year, so that by 2014, 10.5% of total spending would be on primary care—through payments supporting quality and efficiency, such as incentives tied to Patient-Centered Medical Home recognition. During this period, Rhode Island was the only state in New England to increase the supply of primary care physicians per capita, while spending by commercial health insurers grew more slowly compared with other states in the region. Oregon and now Delaware have followed suit. In each state, this has been planned or accomplished without an increase in the total cost of care. PCDC believes New York should be a national leader in its commitment to funding a strong primary care system. We encourage the development and use of a primary care definition across all payers that can then be used to measure, track, and increase investments in primary care. 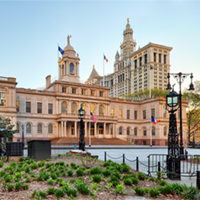 In New York, many primary care transformation efforts are underway statewide through DSRIP, the State Health Innovation Plan (SHIP), other initiatives. However, we are concerned that while these programs rely heavily on primary care to deliver better health outcomes and lower costs, they do not provide the full and necessary support to ensure success. While there is a great deal of activity involving primary care, we must increase the extent to which we are investing in primary care. We must make the necessary investments to support primary care providers and systems in New York if we hope to achieve better health care, healthier communities, and lower costs statewide. The entire premise of health system reform rests on a robust primary care system. 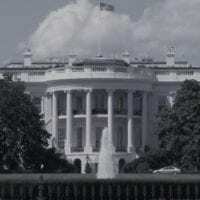 The following comments and recommendations reflect PCDC’s views on the FY2020 Executive Budget that impact primary care. The FY2020 Executive Budget includes $4 billion in appropriation authority to allow the State to distribute two years of federal funding through the DSRIP program. PCDC has advocated for a strong and sustained commitment to expanding access to quality primary care throughout the DSRIP program as a crucial opportunity to strengthen and expand primary care. We must note DSRIP PPS funds still have yet to sufficiently flow to support DSRIP primary care goals. Fund flows and engagement of primary care and other community-based providers have varied by PPS. Overall, according to the second quarter DY4 PPS update, while 45% of total cumulative funds flow dollars ($941,954,826) went to hospital systems and PPS project management offices, less than 4% of total funds on average have flowed to non-hospital primary care ($138,266,049), mental health ($69,559,233), and substance use treatment ($26,452,915) providers. These figures show that the primary care system — which is already under-resourced — lacks sufficient financial support from the current PPS Funds Flow mechanism. The DSRIP program must fulfill its promise by providing a larger proportion of funding directly to primary care providers and ensuring every PPS is supporting primary care and other community-based providers through timely and adequate fund distribution for the remainder of DSRIP. Monies could be used by primary care providers to expand hours, hire care coordinators and peer counselors, more effectively utilize electronic health records and health information exchange to monitor the care of their patient panels, invest in needed infrastructure, and other activities to support patient-centered care. Only with this support can the primary care system effectively transition to value-based payment (VBP), assure quality services, and sustain the goals of DSRIP in the future state. This year’s Executive proposal would make $300 million of $525 million in capital funds from SFY 2018-19 Statewide III Health Care Facility Transformation Program (HCFTP) available to previous applicants of the Statewide II HCFTP, which would shift up the total amount available for Statewide II applicants to $500 million and require awards for Statewide II to be made no later than May 1, 2019. We applaud the proposal for preserving the allocation requirements for community-based health providers and encourage DOH to continue to exceed the minimum allocation requirements to ensure more funds flow to primary care and community-based providers. While the program has been an important and generous investment in community providers, it has and will not meet the substantial capital needs of providers throughout the state. PCDC urges the legislature to help maximize HCFTP funds and other future health care capital programs by more explicitly prioritizing applicants that request less than their full project costs and leverage the state funding with other financing. Coupling capital grants with additional financing would increase primary care providers’ access to capital to allow more centers to fully fund construction projects and to accelerate the pace of development across the state. 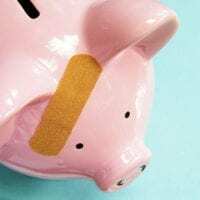 These investments could be other grants, tax credits, fundraising, and debt – including loans from the New York State Community Health Care Revolving Capital Fund. As many HCFTP-eligible applicants and projects are also eligible for the Revolving Capital Fund, this opportunity would multiply the impact and value of public dollars in two state funds with a shared goal of expanding and transforming New York’s health care infrastructure. We urge the legislature and DOH to give strong preference to health care infrastructure projects that identify additional sources of capital to support the total project cost. Enhancing HCFTP capital grants with private investments and other public funding would allow for greater impact, more providers to receive funding, and more robust public-private partnerships. Since 2008, PCDC has provided technical assistance to over 475 primary care practice sites to support them to achieve NCQA PCMH recognition. As a result, we have developed an in-depth understanding of PCMH concepts and competencies, the technicalities of the recognition process, as well as the range and scope of primary care practice operations and approaches to practice transformation. PCDC recognizes and applauds DOH’s efforts to set New York on a pathway towards a health care system that rewards quality, cost containment, provider and patient satisfaction. Increase in primary care practices achieving NCQA Level 3 PCMH recognition should be applauded – as well as appropriately and sustainably supported. Over the last two years, 7,500 providers have achieved NCQA PCMH recognition at the highest Level 3. PCDC commends the DSRIP PPS progress of significantly increasing the number of primary care practices qualifying for NCQA Level 3 recognition, and the increase of 2,500 primary care providers new to NCQA recognition. In addition, we support DOH’s continued investment in practice transformation technical assistance for practices and providers to achieve NYS PCMH. PCDC also supports DOH’s efforts to promote the PCMH model as a vehicle to move towards integrated care and value-based payment. Leadership, staff, and providers made extensive commitments to the PCMH practice transformation journey, knowing that there would be incentive payments from the Medicaid program to help support continued sustainability of their often comprehensive redesign, quality improvement, care management, and staffing activities and investments. Research shows that it takes an average of almost $14,000 per provider FTE to achieve PCMH, and an additional average of more than $8,000 per provider FTE monthly to maintain it. Studies show that the longer a practice has been transformed, the overall impact of practice transformation, particularly the cost savings, is increased. PCDC urges the legislature to ensure funding and investments in primary care providers during the remainder of DSRIP as well as through other current and future programs to assure that they can sustain patient-centered models of care. This is particularly important as primary care providers continue to receive a very small share of the DSRIP dollars. We urge you to work closely with DOH to ensure that Medicaid reimbursement and waiver funds are spent as close to the primary care system as possible, as the most effective route to improve care and outcomes, while reducing cost. The Legislature included $450,000 for PCDC in the final FY19 budget, and we are very appreciative of your continued support. This funding enabled PCDC to undertake important initiatives to ensure sustainable growth of primary care in underserved communities, assist providers in becoming PCMHs, and support New York’s commitment to primary care. Our work is even more critical as health care transformation projects continue to require more from the primary care sector and PCDC works with these providers to help them succeed. To allow us to undertake this important work, PCDC respectfully requests restoration of $450,000 and an increase of $75,000 in the FY20 budget. This request is born of the tremendous need for PCDC’s services as New York continues to undertake major health system reforms and respond to unprecedented change in the federal health care landscape. Last year’s allocation enabled PCDC to carry out our critical mission: evaluating primary care access across New York, strengthening the primary care sector by promoting strategies for interdisciplinary care, supporting development of public and payer policies critical to the advancement of primary care, among other important successes. Build Sustainable Primary Care Capacity: Over the last five years, PCDC provided nearly $75 million in affordable financing to expand access to primary care across New York State. In 2018, PCDC partnered with sites across New York including Evergreen Health in Buffalo, Housing Works in Manhattan, St. Joseph’s Rehabilitation Center in Saranac Lake, and Callen-Lorde Community Health Center in Downtown Brooklyn. PCDC has also been awarded nearly $250 million in federal New Markets Tax Credits to use in financing innovative projects in New York and across the country. Ensure Practice Transformation: PCDC provides expert consulting, training, and coaching to transform the delivery of primary care. In 2018, as a result of PCDC’s expert coaching, PCDC achieved an important milestone, with over 475 practices achieving National Committee on Quality Assurance (NCQA) Patient-Centered Medical Home Recognition. PCDC is also a NYSDOH Practice Transformation Technical Assistance provider for the NYS Advanced Primary Care Program. Analyze and Evaluate Primary Care in New York State: In PCDC’s report “What’s the State of Primary Care in New York?” made possible through the FY18 funding, rural areas were identified to have disparities in primary care access, health status, and socioeconomic position. Thus, we selected rural primary care access as the key issue area to further examine and highlight through last year’s FY19 award. We are planning expanded analyses, stratified by rural area, to measure and discuss challenges facing primary care provision in rural areas of New York State to be completed in the next months. Integrate HIV/AIDS Prevention into Primary Care: Primary care has never been more important to preventing the transmission of HIV. PCDC’s High Impact Prevention (HIP) in Healthcare, a U.S. CDC-funded Capacity-Building Assistance program, provided free training and technical assistance to over 155 health care organizations, helping over 1,350 staff integrate high-impact HIV services into their practices. We are proud to be an active partner in New York State’s effort to end the HIV/AIDS epidemic by 2020. Promote Engagement and Innovation: PCDC brings leaders together and provides important resources aimed at building strong primary care that works for everyone. 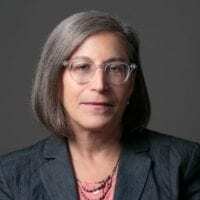 Last year’s Primary Care Summit, PCDC’s annual policy event, convened nationally-recognized health policy expert Elisabeth Rosenthal and NYC Health and Hospitals CEO Mitch Katz to discuss value-based payment. PCDC presented at state and national conferences on subjects like primary care capacity building, workforce recruitment and retention, and the need for measurement and investment in primary care. PCDC also published an article in the Journal of the American Medical Association (JAMA) on the importance of improving, increasing, and sustaining investment in primary care to ensure health equity. With overwhelming evidence of its positive impact on improving health care quality and outcomes while lowering health care costs, primary care is the most reliable means of ensuring patient and community health. To meet its responsibility, primary care must be reinforced with sound policies and adequate resources. We look forward to working with the Governor and Legislature to ensure that the FY2020 New York State Budget supports these goals. Thank you for your consideration of PCDC’s recommendations.